As our world becomes more digitized, the files we store on our computers are becoming increasingly more important. Instead of keeping handwritten letters in a shoebox, we correspond with family members using e-mail. If we use digital cameras, we often keep our photo albums on our computers. Unfortunately, computers (and particularly the hard disk drives that hold your files) can fail. Your computer might run for a decade with no problems, or it could fail tomorrow -there's no way to tell. To make sure you don't lose important files if your computer stops working, you should back up your computer on a regular basis. 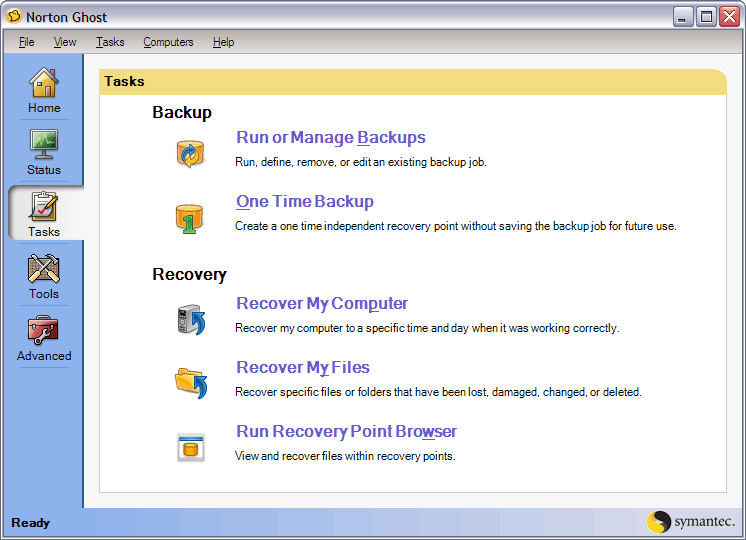 The backup process copies your files to a safe place so that even if your computer fails, you won't lose them. If you decide to get an external hard disk drive, choose one that is at least as large as the hard disk drive inside your computer. For example, if your computer has a 320 gigabyte (GB) hard disk drive, choose a 320 GB or larger external hard disk drive. Then connect the external hard disk drive to your computer. Make a note of the drive letter (such as E:, F:, or G:) assigned to your new hard disk drive. With an external hard disk drive, you can manually back up your files, or you can schedule automatic weekly backups.